The “unwrapping” process shines a bright light on every concept and skill within a standard. When educators “unwrap”prior to any instructional planning or assessment writing, they clearly understand the specific learning targets their students need to learn. Agenda for the one-day workshop is available upon request. 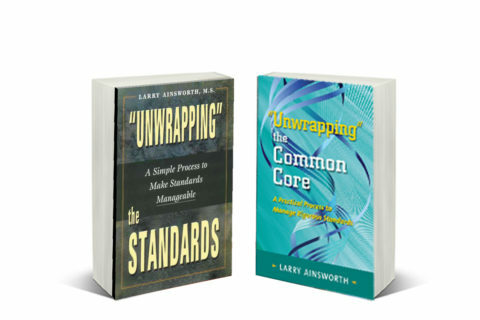 For more information about bringing the “Unwrapping” the Standards Workshop to your school or district, please contact Larry Ainsworth directly. His email address is larry@larryainsworth.com.